In a recent blog, we explored how injection molders can reduce automotive component costs and risks if they’re involved early in the design process. But, how about the impact of the plastic automotive components themselves? What benefits can manufacturers realize in using them? While improved fuel economy is an important, if not predictable, outcome of building vehicles with lighter-weight materials, there are other advantages to removing metal parts in favor of injection molded plastic automotive components. Lightening the load means manufacturers can incorporate advanced safety devices, electronic systems and emission control devices – also made substantially from plastics – to push technological innovations and efficiencies to gain a competitive edge. Working with an experienced injection molder to produce these lighter weight plastic components is perhaps best illustrated in the electric vehicle arena, where any weight offset translates to higher power system efficiencies and consistency in all-electric battery range. In fuel-based cars and trucks, using injection molded plastic components means lower carbon emissions and ready compliance with increasingly stringent governmental regulations. There’s little debate that getting products to market quickly can separate automotive manufacturers from the competition. Unlike metal parts, plastic automotive components lend themselves to finite and sophisticated mold flow analyses prior to production. Molders with specialized engineers can predict and interpret how plastics will act and react in real world environments through computer-aided design and modeling, and then select materials to align with the application. There is no need for physical testing for noise and vibration, and other critical factor testing can typically be reduced for those components. Plastic component reliability is verified and vehicles get to market well ahead of those of traditional metal construction. Consumer safety is a major priority for automotive manufacturers, as is preserving brand credibility. Focused attention is paid to using parts that contribute to overall design safety and long-term performance. Metal components fall short in that they are subject to vibrational failure that is difficult to predict in physical testing, increased noise, and higher conductivity that leads to premature part wear and potential malfunction. Comparatively, plastic automotive parts are designed, tested and produced to lighter specifications that cull out extra stress-inducing weight, and minimize noise and vibrational defect. Plus, plastic parts are resistant to conductivity and, by extension, premature breakdown. 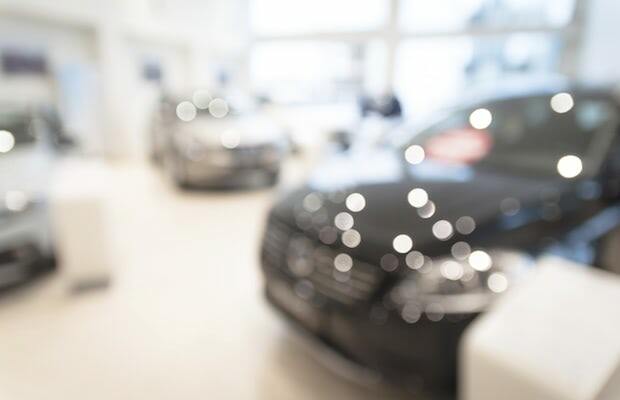 As a result, consumer safety is consistently maintained and manufacturers benefit in the marketplace by limiting warranty claims, recalls and potential litigation. Today’s automotive manufacturers are faced with more regulatory and environmental mandates than ever before, spurring rapid and progressive advancement in engine technologies. Turbo-charged engines, for example, provide a viable option for reducing engine size for a boost in fuel efficiency, lower carbon emissions and better performance. These essential changes also produce unintentional side effects like higher heat output, and the need for gases and fluids that are degenerative to components, especially metal parts. Forward-thinking automotive manufacturers are addressing the obstacles head-on by partnering with an experienced molder with knowledge of current resin technologies. Their expertise is essential in the design and production of plastic components made from materials that can withstand prolonged exposure to high temperatures, corrosive fluids and other necessities for advanced engines – all of which are key benefits that help manufacturers stand out from the competition. The rapid product evolution and competitive landscape of the auto industry makes a trusted relationship with a complex injection molder imperative – and invaluable – for automotive manufacturers. For more information on maximizing the use of plastics and your relationship with an injection molder, download our whitepaper How to Solve Common Design Challenges for Critical-Use Automotive Applications. Click the button below for your free copy.